The majority of Millennials and Generation Z consumers will look for reviews or conduct extensive research on a product prior to purchase. Throughout this research, there are numerous conscious and subconscious considerations that occur. 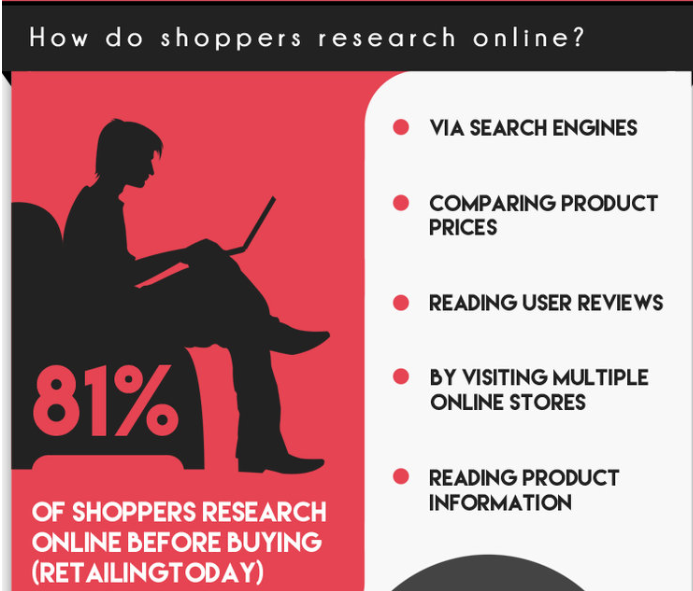 Considerations which contribute to the shopper’s decision on whether or not to make a purchase. Social proof is a key element in ensuring you positively influence those considerations. It all comes down to the shopping experience. Most consumers just want to know if what they’re getting is what it says it is. Brick and mortar stores create that validation simply by existing. You’re able to pick the product up, feel it’s weight, and get an idea of the build quality in seconds. Online stores, however, don’t have that benefit. You have to rely on words and images to build trust in an era with an ever-increasing culture of skeptical buyers. And truthfully, the most convincing words don’t come from you. You’re the owner of the store so of course will talk up your products. To persuade users that your products are right for them, you have to turn to current customers and reviews. Most eCommerce stores create social proof in the form of reviews usually peppered throughout the home page or product page. It’s a good start, but hardly all you can do. Not only are there more ways to create social validation than simple reviews, but there are other times in which the store should be engaging the customer throughout their journey. Companies that are successfully utilizing social proof understand this notion. They understand that you have to focus on where your potential customers are dropping off and take action encouraging them to stay in your funnel? We’re going to look at a few unconventional ways to use social proof to improve your store’s sales conversion rate. Examples of Methods – Some of these methods may not exist… yet. 71% of all carts are abandoned causing massive revenue loss for store owners. In recent years abandoned cart solutions like Recart have chipped away at improving conversion rates. The notion is simple, potential customers leave during their checkout but then receive a message via email, Facebook, SMS, or other media to remind them and bring them back on site. This has resulted in conversion rates progressing for eCommerce merchants. It has such a high rate of success largely because customers who abandon at checkout are in the last stage of the sales cycle. They already liked the product enough to add it to their cart, all they need is for you to push them over the edge. How do you go about that in a way that doesn’t create anxiety? Your messaging needs to avoid sounding pushy or aggressive. Social proof data can be used to encourage customers with confidence without resorting to negative urgency. So while abandoned cart solutions like Recart have changed the game in converting customers, consumers could get desensitized to that messaging meaning store owners like you will need to get creative. Why not try adding social proof to your abandoned cart messages to remind your customers that your products are popular? Popups don’t always convert. If you’re trying to retarget a potential customer, then generally speaking you’ll see popups get even lower conversion rates as they’re often annoying distractions. The more times someone is submitted to a frustrating element of your site, the less likely it is to work. Instead of relying on frustrating popups, embed social proof feeds into things like messages, product pages, home page, and your about us page. 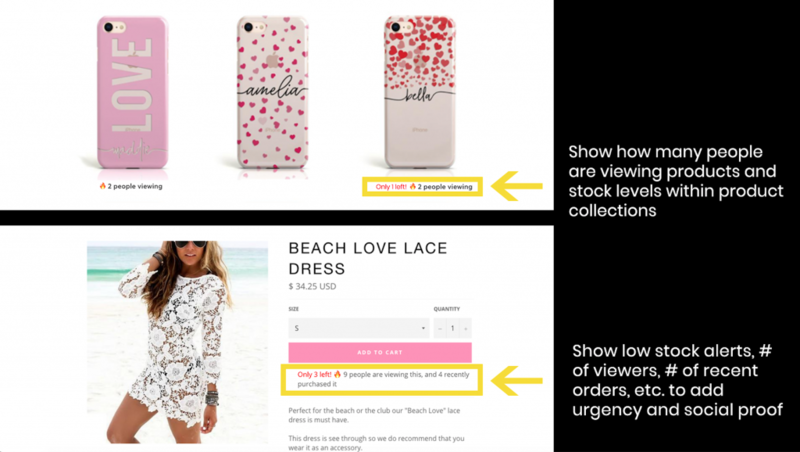 Use these feeds to engage users with relevant messages when they step outside your usual purchase behavior flow. An application like Fera.ai gives store owners the ability to choose social proof tools that fit the buying maturity level of their customer base before displaying it in more natural feeds. For example, specific product related social proof on product pages, store related proof on home pages or about us pages, delivery proof on the checkout page. You have to go beyond the traditional method of showing the same, generic social proof across all pages in the same way. Your users are tired of popups and the same messages across site so do something a little different. Show those social proof events in a different location that’s more natural and will have more of an impact. Everyone loves a good deal, right? Thing is, most people won’t search for a good deal themselves. They’ll leave it up to the store they’re shopping on to tell them what’s the most popular and best-selling items. People, generally, follow the crowd. And you can use that to your advantage. By presenting product detail counters you can increase your consumer’s feeling of desire. Couple this with a stock counter and you have a 1-2 combo that highlights popular products AND instills a little FOMO. It creates the conscious feeling that people want what you have. It’s an age-old psychological play to increase the perceived desire of what you’re offering. If thousands of others want it, it’ll be easier to convince your potential customers this is the perfect product for them. Fera can provide product detail counters that can help store owners create the feeling their store is busy, especially when it is. WIth a simple counter your customers know they’re in a store that isn’t empty. Nothing is more awkward than an empty store! These kinds of counters can be used in more inventive ways than just saying “X people bought this” though. If you’ve ever seen a 1:1 organization that donates something on behalf of you making a purchase, these companies often leverage counters to give customers the selfless feeling of donating. For example – Tentree donates 10 trees if you purchase a product. They can’t physically hand you 10 trees, so they have a counter that shows how many have been planted. The customer feels as though their actions directly resulted in the life of those trees completely smashing the negative feeling of spending money on something they may not need. It’s almost as if you’re gamifying aspects of your store with product counters. Customers feel urgency and social proof while wanting to add to the number. Imagine a world where your voice devices know where you are in your decision-making process and encourage you with social proof. 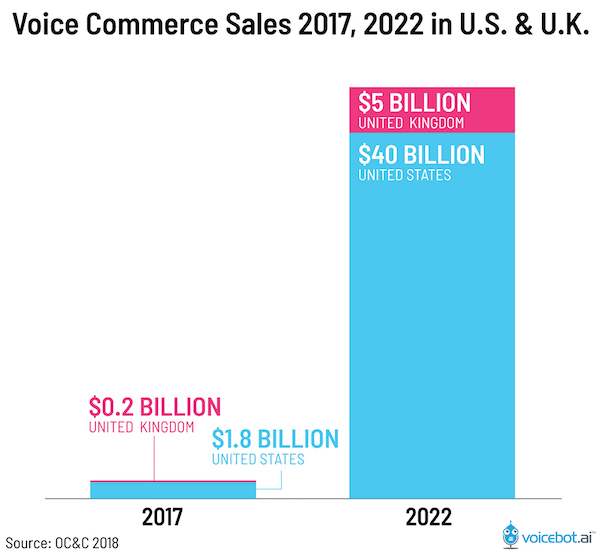 It’s said that by 2022 the Voice Commerce industry will surpass $40 Billion in the United States alone. How can you not want to take advantage of that? Voice commerce right now is very transactional and one-dimensional. When these little boxes start to provide more value than just being deal catchers, that’s when we will see this industry explode. Companies that enable users to utilize their voice to make purchases are also now reaching a large number of people that were otherwise unable to be approached. For example, 19%~ of all Americans have a disability.A large number of those being walking disabled people. The disabled population have been largely ignored by commerce in terms of convenience. Voice commerce could absolutely solve this. This isn’t something that we’re aware of just yet as a functional service, however, it is something that we’re pretty certain will come to pass. Getting your social proof actions in order now will stand you in good stead when the voice revolution comes. Reminder – Always A/B Test! You never know what works for you until you can prove it scientifically. Always test your marketing experiments. It’s easy to identify a drop-off point and think you know the definitive answer. But your opinion might differ from your audience’s. It’s extremely common for a business ot think they know what will work and then see a drop off rather than a lift in conversions. Experiment with your messaging and content. Don’t be afraid to try something different; you never know what will resonate with your customers until you find the message that actually does. Businesses that ultimately grow are in constant search of their edge that sets them apart from other businesses. In conclusion, know your shoppers consideration journey. Leverage messengers, emails, etc to encourage customers with social proof. Try doing it in a way that isn’t normal, because that may be the silver bullet that sets you apart from your competitors. Social proof may not provide immediate value for all stores, so A/B test and do something different. 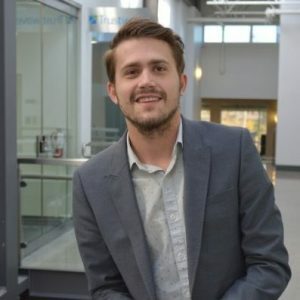 Ben is the head of sales for Fera. He comes with 7 years experience of building sales organizations and selling enterprise SaaS / IT solutions. Fera increases sales conversions through a variety of Social Proof and Urgency tools.